What really makes a Coffee Shop Successful? Customer: Hi! I’d like a cup of coffee. Barista: No problem! Take a look at our coffee menu right here. Customer: Wow, so many kinds of coffee! Barista: Would you like milk in your coffee, black coffee, flavored coffee, or cold-brewed coffee? I’d be happy to give you a recommendation. Customer: Today’s a bit hot, so I think I’ll have something iced, with milk. Barista: In that case, I’d be happy to make you an iced latte. Customer: That sounds about right! I’m not familiar with any of the other drinks. Thanks! With so many pleasant-sounding drink names on a coffee menu, how are we supposed to know which one is the right one? This refers to all pure, unmixed coffees, with no added sugar, milk or other ingredients, including the often-ordered Americano and black coffee. Specifically, these can be separated into three categories. Espresso, known as the “soul of coffee,” forms the aromatic and delicious base for any milk coffee drinks. It is the coffee liquid extracted under pressure. Although a single espresso is only between 25 to 30 grams, it packs a punch, and one cup is an effective way of having a refreshing and alert morning. As marketplace needs have developed, SOE (Single Origin Espresso) has emerged in recent years, whose balance differs from the traditional Italian blending. SOE tend to highlight the flavor pallet of a single producing area. A good cup of espresso has thick and smooth oil, with a smooth and aromatic texture and lasting aftertaste. It can be done as a single, using about 9 grams of grounds to extract 15 – 18 grams of espresso. A double uses about 18 grams of grounds to extract 30 – 35 grams of espresso. The amount of espresso is different, but the flavor should be roughly the same. Generally, espresso should be consumed immediately after extraction from the coffee machine while it’s still hot! The first inventor of pour-over coffee was the German woman Melitta Bentz. She did not like the texture of small pieces of residue in her cup of coffee, so she combined ink-absorbing paper with a perforated copper bowl in order to filter out impurities. This is where the archetype filter paper and bowl originate. This kind of strained coffee has clean and clear characteristics that reveal the unique flavors belonging to different kinds of beans. It has become an indispensable brew type for the high-quality coffee’s third wave. 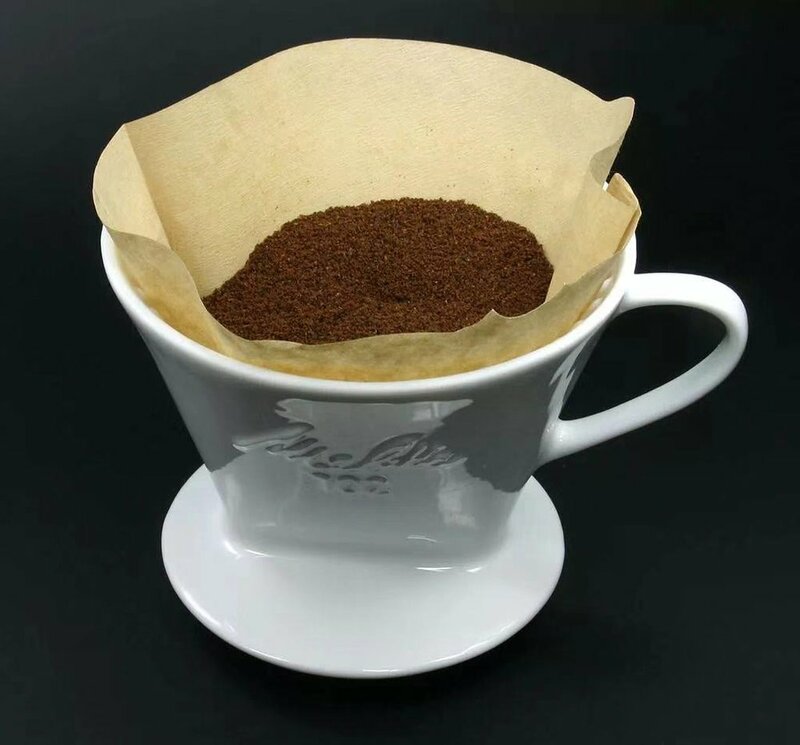 To make pour-over coffee, you need to prepare a kettle, filter paper, and filter cup, an electronic scale, a thermometer, coffee grinder and bag of coffee beans. A perfect cup of coffee is the combination of temperature, water flow, time, coarseness of grounds and the water-grounds ratio. 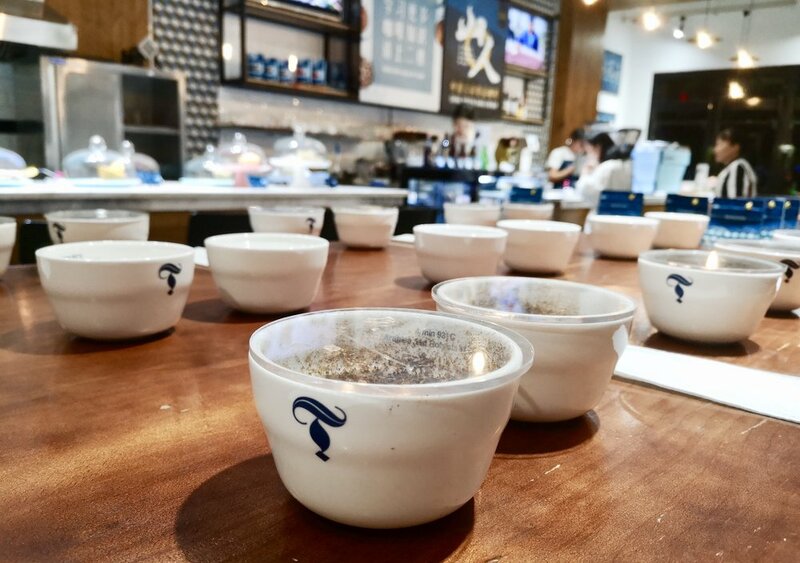 Usually, the barista will adjust the brewing details in accordance with the regional characteristics of the coffee beans, so as to bring out the best aroma, flavor, and texture. In the search for a high-quality region of single origin coffee, one can fully experience coffee’s distinguishing features through sampling beans produced at both hot and cold regions. If you can find just the right proportion for producing the perfect cup of an iced pour-over, then congratulations! You’ve found a coffeehouse worth patronizing many times over. The Americano originated in the United States. After espresso was first introduced to Seattle, Americans who prefer a slightly lighter flavor poured boiled water into the espresso. In such casual fashion, the Americano came into existence. The method involves two shots of extracted espresso as the base, then adding boiled water. If you see “long black” on a menu, don’t be confused—this is just another name for the same Americano. A long black will first add water, next adding extracted espresso. Differing from the above, the Lungo is another kind of Americano, but it requires a longer time for espresso extraction and does not only add boiled water alone. 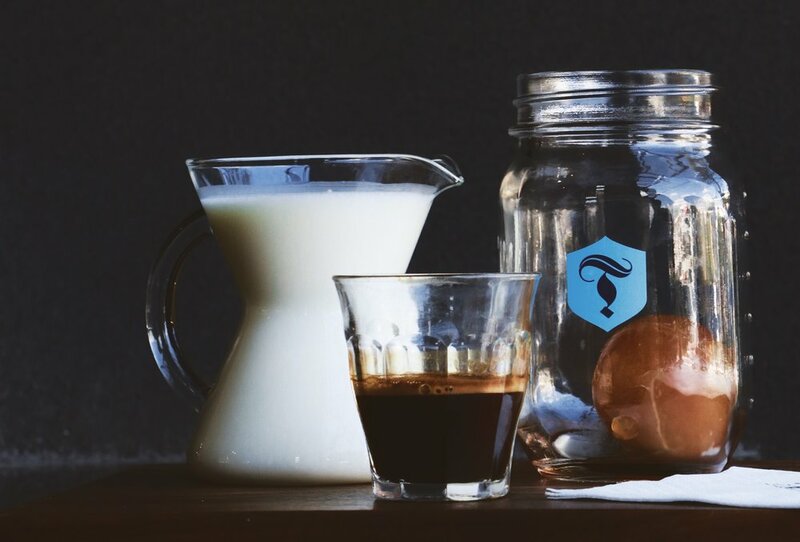 In an Americano, adding boiled water breaks down the oil, leaving the flavor intense and stimulating, with a purely bitter aftertaste. 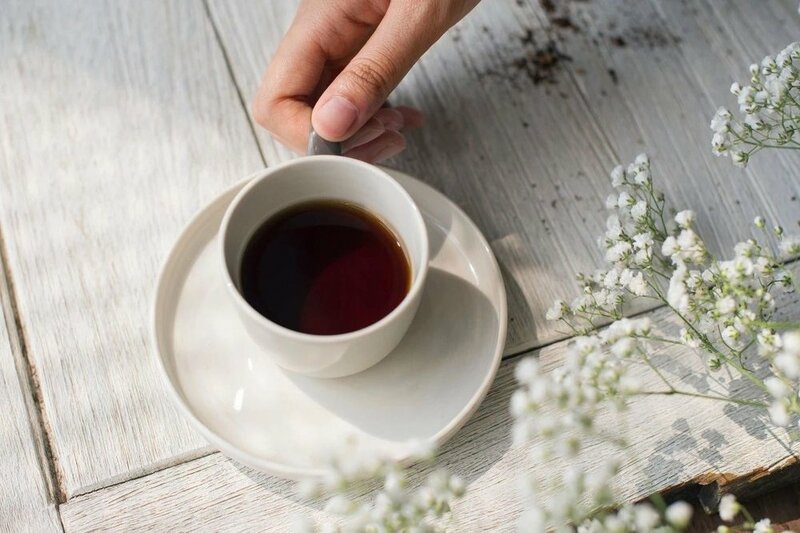 A Long Black, on the other hand, will have a thick layer of oil around the mouth of the cup, retaining a stronger aroma and flavor, with a mellow and fragrant balance, while a Lungo, owing to its extended extraction time, is often accompanied by a woody flavor. Iced Americanos are also makable, in accordance with each three methods of brewing. 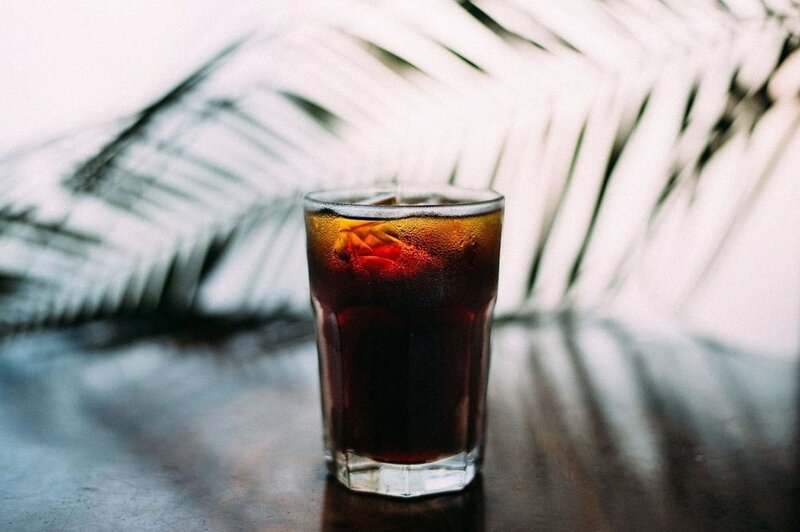 An iced Americano and a scorching summer—there’s a wonderful combination! This refers to using espresso as a base and adding varying amounts of milk. Milk can be substituted for soy milk, oat milk, etc. In Italian, “latte” means “milk.” Accordingly, café latte refers to coffee with milk, and moreover, in everyday life, we also can order matcha and black tea lattes. This category of lattes that adds other ingredients into milk can also be called lattes, though they have no coffee ingredients in them. A latte is composed of the following proportional allocation: 10% espresso, 70% steamed milk, and 20% foam, with a fine texture. 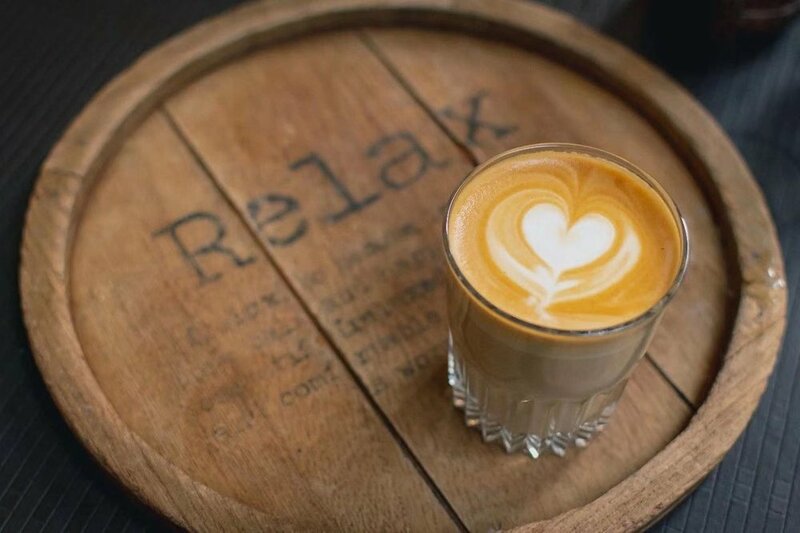 Cappuccino is composed of the following proportional allocation 10% espresso, 45% steamed milk, and 45% foam, with a thick texture and heavy coffee flavor. A perfect cup of cappuccino will have a nice body of body of foam. ﻿The flat white is a favorite coffee drink in Australia. Compared against the fine milk texture of a latte and the thickness of milk in a cappuccino, a flat white’s milk will be noticeably more velvety. ﻿The piccolo is often referred to as a “small latte,” as it is comparatively smaller than the body of a latte. Only the espresso extracted in the beginning and middle will be used in the drink, giving it its name. ﻿This involves placing two spoonfuls of fine milk foam over the base layer of espresso in the likeness of snow-white "stain." This is also what the word macchiato means in Italian. In this drink, one can enjoy both the intense bitterness of the espresso and the sweetness of the foam. This refers to any drink with coffee ingredients. Enjoying popularity in Italy, its name is the exact literal translation of “coffee with cream.” An authentic espresso con panna will a little fresh cream atop the espresso base. When paired with toffee or chocolate, the burnt, sweet flavors are especially tantalizing. Once rated as one of the best coffees in the world, it now often appears on the table as a dessert. 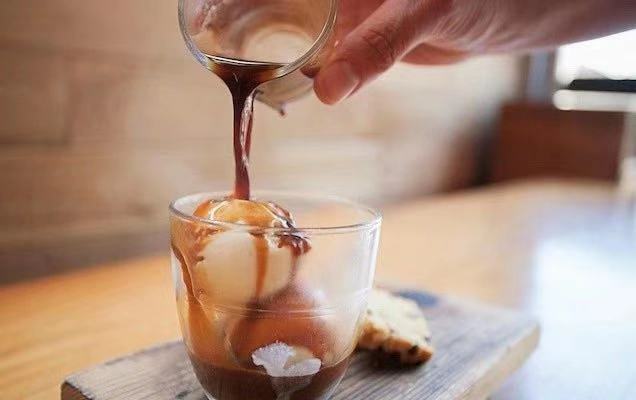 It is composed of a cup of high-quality espresso poured over Italian, hand-made ice cream. In the mingling of fire and ice, the sweetness of condensed milk layers over the mellow aroma of coffee in distinct liveliness. 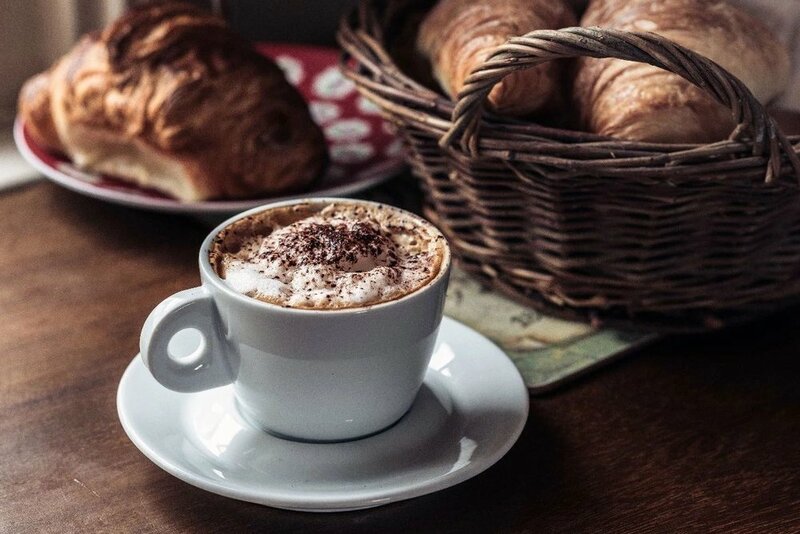 The word “mocha” originally comes from the “Port of Mocha.” This is a reference to coffee beans exported from the Port of Mocha in the 15th century to Africa. This variety was collectively known as Mocha Coffee. Nowadays, what we call a “mocha” refers to the method of adding milk and chocolate syrup to espresso. The thick milk chocolate flavor makes the mocha a favorite drink for female customers. Originating from the US, this drink refers to combining coffee and whiskey to mix a cocktail. Coffee sugar and whiskey are first integrated as a base. Heated whiskey is then added. The heat melts the sugar, which emits an aromatic fragrance. Next, pre-brewed coffee is poured into the whiskey. Finally, whipped cream is placed atop the beverage for decoration and sweetness to counteract the bitterness of the alcohol. Irish coffee is the most distinguished alcoholic coffee drink. 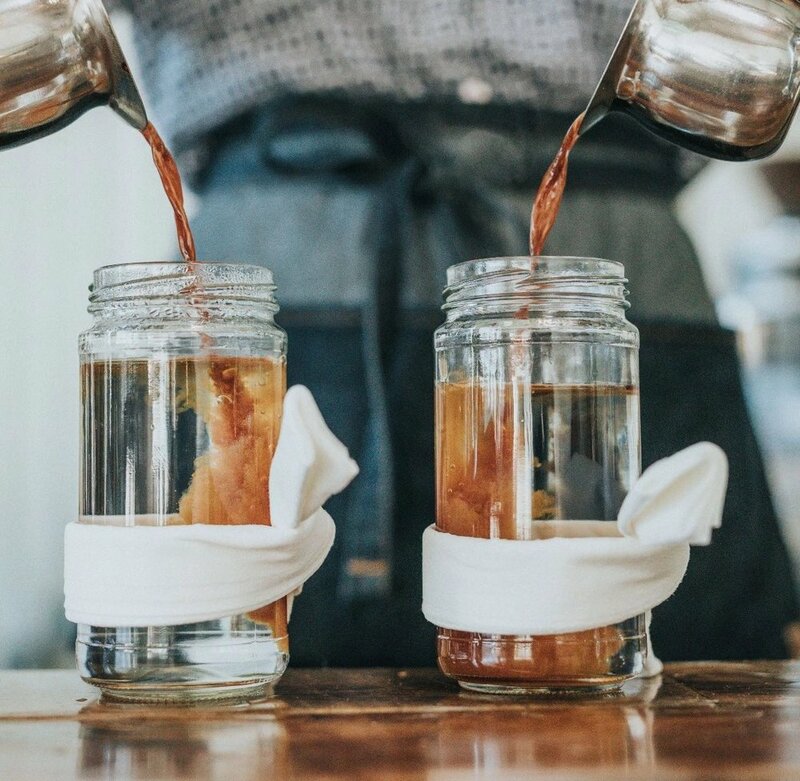 After soaking the coffee grounds in the appropriate proportion of cold or ice water for 12 to 24 hours, coffee grounds will then be strained with a filtering cloth. The long length of time and low temperature involved in the soaking process creates a crisp and layered flavor. Using cold water, ice water, or ice cubes, slowly drop-by-drop soak the coffee grounds. Extraction takes roughly 5 to 8 hours. The flavor will be both balanced and mellow. 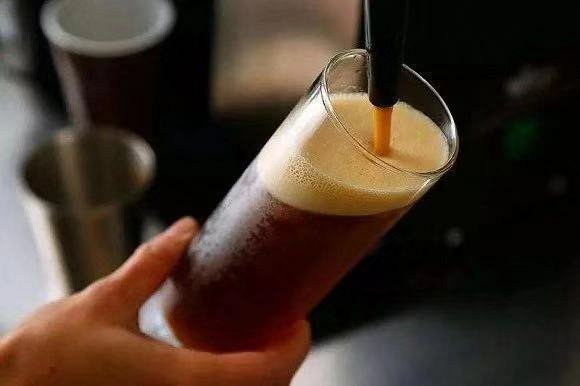 Bearing a strong resemblance to a German stout, this is a kind of coffee drink that combines cold coffee with nitrogen under high pressure in order to produce a delicate and sweet flavor. Every kind of coffee has its own unique flavor. 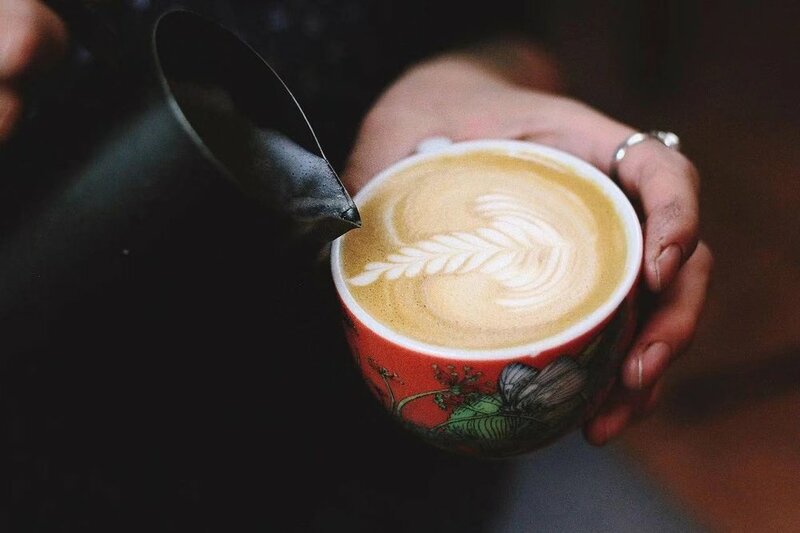 Regardless of whether it’s coffee with sugar and milk, beautiful latte art, or a cup of pour-over, each has its respective admirers. You just need to find the taste that best suits you. Does racking our brains for new products really help our coffee shop? Foreword: We always hope to push out the old and bring in the new to catch the eyes of customers but have you ever considered that the definition of what constitutes a new product changed long ago and has quietly become a powerful “springboard” into other areas? In one of our recent classes for café managers, we were discussing marketing strategies for new products. One student raised a question: how many genuine new products can be created now? Looking at ingredients, new products in a café are simply the “permutations and combinations” of raw materials. Promoting new products each quarter has become a headache for product developers. Traditional thinking has allowed those in the coffee industry to focus only on the materials themselves while overlooking a fact: why do we promote new products? We always hope to push out the old and bring in the new to catch the eyes of customers but have you ever thought that from the vantage point of raw materials it is becoming increasingly difficult to “create” new products? Anything anyone is capable of thinking up has already been done in the long river of humankind’s history. When one method of thinking isn’t getting us anywhere we must attempt another: the definition of “new product” changed long ago and has quietly become a powerful “springboard” into other areas. Let’s take a look together at Starbucks’ Christmas season. 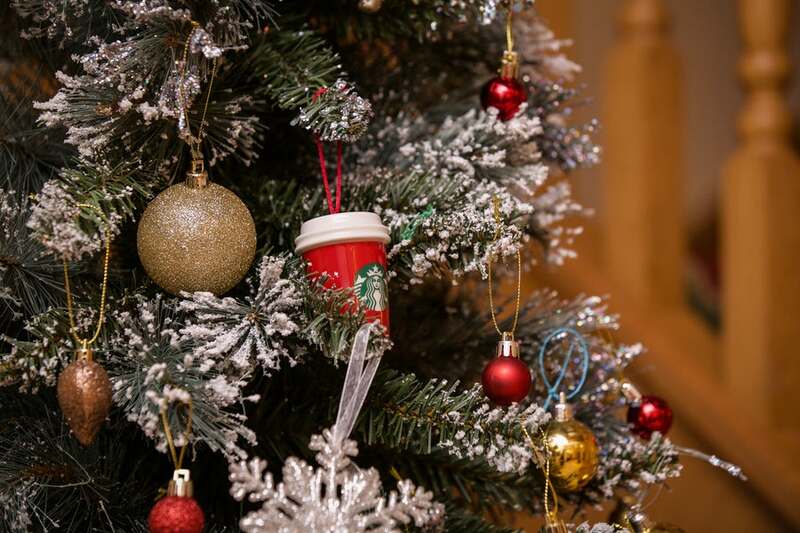 Starbucks launches new Christmas products at the end of every year. The public is already familiar with this and it seems as though that time of year everyone is looking forward to the emergence of something new. At the same time, as soon as their new Christmas products come out, industry insiders always begin to ridicule that they are virtually indistinguishable from past years’ products: coffee, milk, cream, different syrups and decorations... but just because they can be ridiculed does not prevent Starbucks from making a large profit. Occasionally it takes this author to visit Starbucks and see their warm decorations to realize just how near Christmas is and in a flash, she’s wondering whether or not she ought to order a voluminous but warm and sweet cup of Christmas coffee. This is a marker that the holidays have arrived and we are all participants in it. At every storefront in all areas and with the utmost energy they market their new products simply and clearly allowing them to appear prominent. New products serve the market and brand positioning is particularly important: should we focus on product development or commercial promotion? For example, one of our students is from Shanghai. Her café is well-positioned to bring the best coffees from all over the world into your home. Thus it is imperative that she stock her shelves with the best-tasting and most-exquisite boutique coffees. When stocking the shelves, she will certainly tell her customers about the differences between the new products and let everyone experience them personally. New products are no longer just products. They function as new vehicles for marketing promotion. Product departments must collaborate with other departments and instead of focusing on raw materials in the traditional sense, they need to become a bloodhound becoming adept at sniffing out market trends. The transformation of things lies not in their numerical rise and fall but rather in their refinement and details. How to create something “new”? At this point in the discussion there may be some who have already begun drawing up plans for stocking their shelves with new products. No matter how high the quality of used raw materials, if they do not possess visual attraction then in the end, one will be inwardly dejected and forced to sell at massive discount. Methods for enhancing visual attraction include color pairing, utensil choice and packaging, diversified use of multiple elements (for example, some coffeehouses use dry ice as a stimulating element to catch the eye) etc. After enticing customers with attractive products, if the drink they consume is high-quality, then it will likely complete their “WOW” experience and they will be more than happy to share it with their friends. 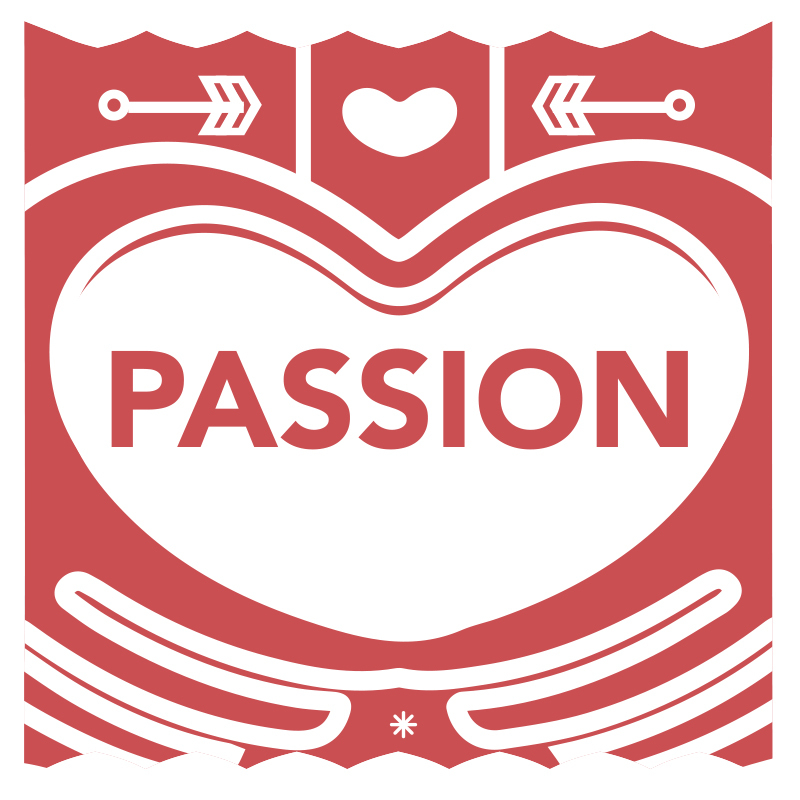 Our customers hope that they can interact with both café and baristas. Though some are shy, if they come into contact with new products containing some drink prep which forms a bridge of communication between them and others. For example, at Torch, the coffee and milk in an iced latte must be mixed by customers. At the same time, in order to ensure the concentration of coffee in the drink, we have specially designed and added a “coffee puck”. It rolls to and fro in its glass cup, colliding into the walls and bringing a little fun to customers on scorching hot summer days. In the coffee industry, iced lattes certainly are not considered new products but if they have strong operability, they can nonetheless be quite novel. Customer habits are becoming increasingly important in the marketing process. This is actually not so difficult to tap into. Simply do important things with regularity. 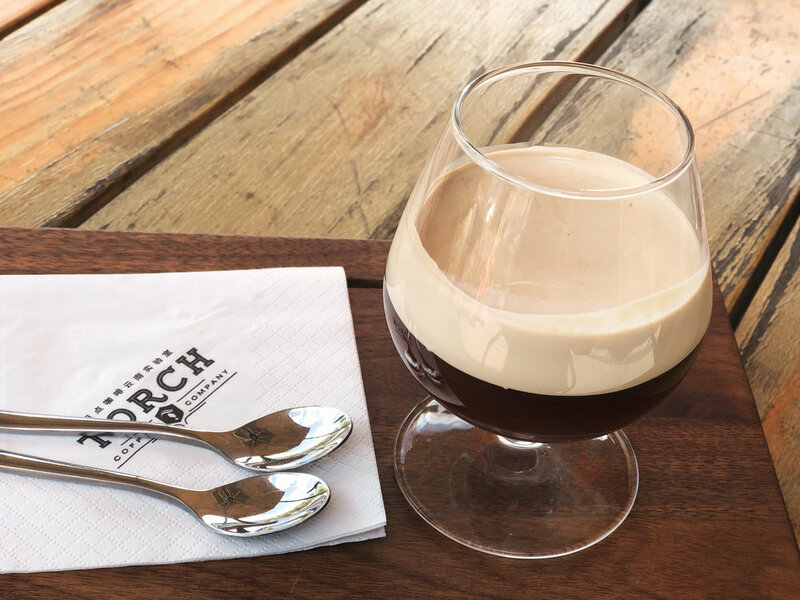 For example, at Torch, a professional coffee competition is held on the last week of every month. The time and nature of the event’s content are both fixed and do not change. And the result? At the end of the month, people actively inquire as to entering the competition and they are not limited to just industry professionals but also amateur enthusiasts. Of course, we take every event seriously otherwise customers would not come back. If you can expose customers at regular intervals to these kinds of events and new products then they will begin looking forward to being delightfully surprised. That’s over half the victory! We’ve shared so much! Do you have any ideas you want to discuss regarding the “new” in “new products”?